Caroline has more than twelve years experience solving canine behavior problems either with families, in rescue or at her own home. Why Is This Even A Problem? That's a good question, it should be perfectly natural for a dog to be able to communicate with his own kind, but more and more dogs are lacking the essential skills they need to interact appropriately with other members of their own species, in fact it is one of the most common problems I am asked to help with, and causes more problems than just an awkward or embarrassing walk. As far as I can see, it is a problem that has been caused mostly by a recent decline in dogs being allowed to exercise off lead. This new trend has come about partly due to inconsiderate dog owners who have failed to clean up after their dog and subsequently dogs have been banned from exercising off lead in hot spot areas, and partly from a personal fear of other dogs; fear of what your big dog might do to that little one or fear of what another bigger dog might do to your tiny pooch, and finally, a lazy approach to dog training. With the availability of extendable or extra-long leads, now more and more people don’t feel the urgency to train their dog to be off lead, this is especially the case for small dogs, who many people incorrectly believe need less exercise. 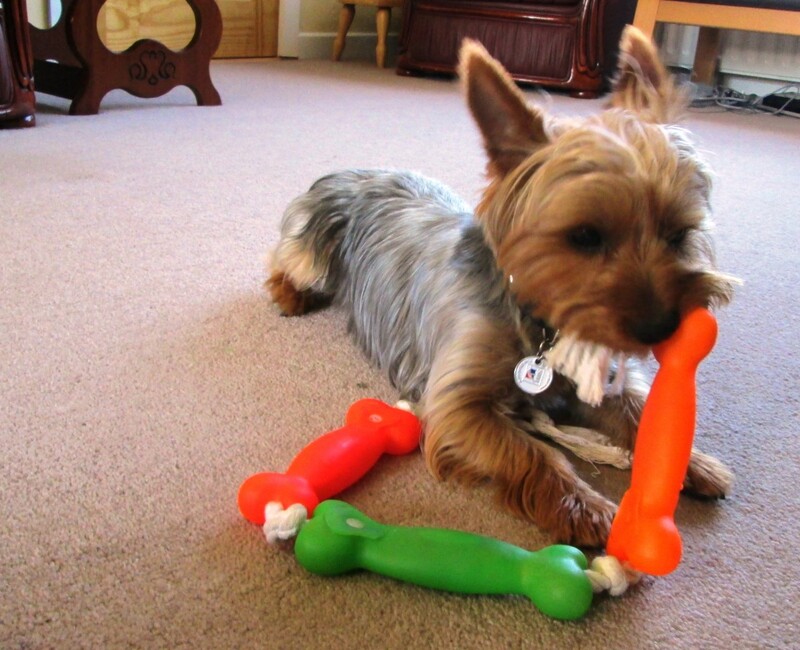 Playtime is an essential part of a dogs routine, not just because it’s fun, although that is important, but mostly because dogs use playtime to practice some of their most essential survival skills, such as communicating, hunting and fighting. Of course, we could play with our dogs ourselves, and many of us do so regularly, it is one of the many joys of owning a dog. This is great for bonding and can help them practice in some capacity, but it is never going to be as good to chase you as it will be to play chasies with a fellow canine, we are so much slower and weaker than another dog and so play has to be diluted, mostly to avoid injury to ourselves. Chasing, tugging and wrestling with another dog can be rougher and faster than we do it, and so it allows the dog to really let himself go, if he doesn’t get the chance to let loose with another dog you might struggle with inappropriate or rough play type behavior at home, such as play biting, grabbing at hands or clothing and stealing valued items to instigate an unwanted chase or a tug game. Regularly exercising his need to play and interact with dogs will also make him less reactive when he is on his lead, as he will have already fulfilled this need adequately, and at an appropriate time. Interacting with other members of his own species can only be good for your dogs mental health, it will help boost his self-esteem and it reminds him who he is and allows him to behave like a proper dog for a bit, particularly important these days, when dogs are often being treated less and less like actual dogs, and more like little people – we are all guilty of it! Spending quality time with other dogs also helps him to behave more cooperatively with others, which in turn will help him learn to share, he will become more trusting towards dogs, which will also help diminish any territorial behavior he may exhibit towards them, and he will feel more protected amongst his own kind, which can be of huge benefit to a dog that has minor anxiety problems. 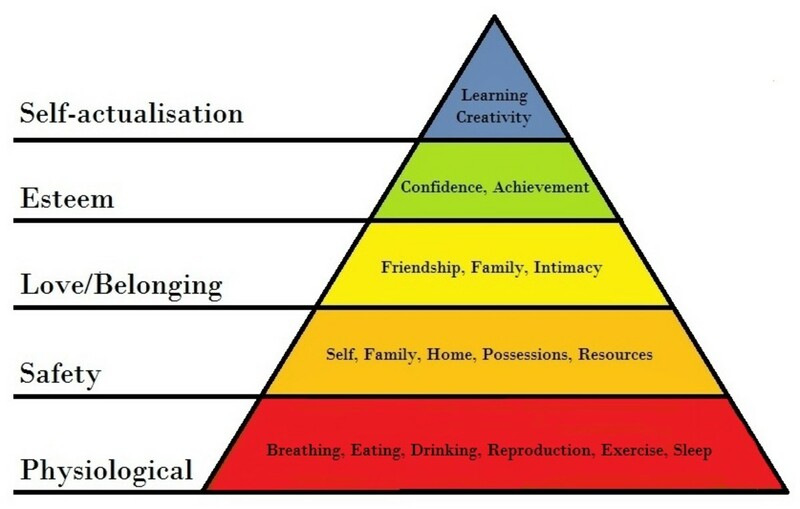 Honing his communication and fighting skills, in a safe environment, will give him a massive confidence boost as he will feel he can handle anything that comes his way, and contrary to some peoples beliefs, this does not encourage aggressive behavior, in fact it does the exact opposite. 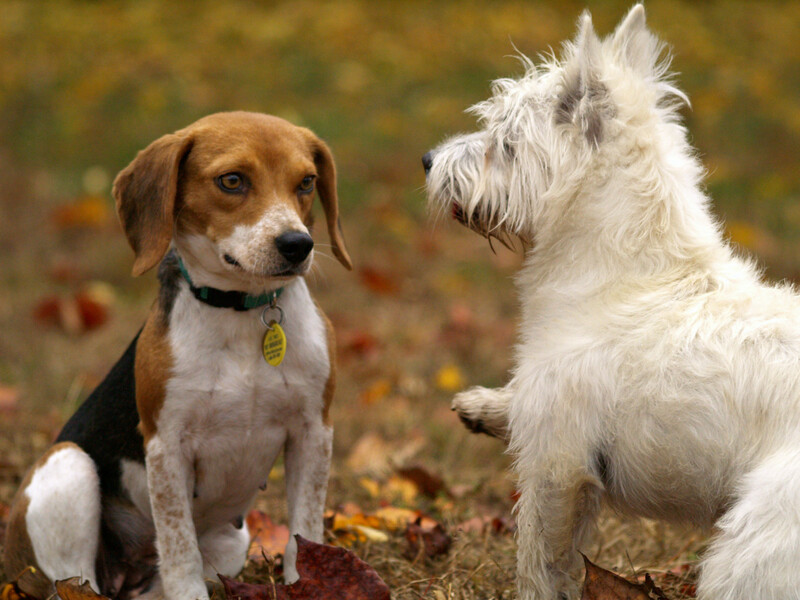 Playing with old friends is great, but meeting new dogs on neutral territory and learning how to interact with them personally, is particularly beneficial to your dogs mental health as its stimulates the problem solving and investigative parts of his brain, which fulfills another of his psychological needs. Finally, fast, energetic, rough play with another dog can also help to release any pent up tensions and anxieties he might have, making for an altogether, much calmer and more even tempered pooch. Sometimes play can look aggressive, but in this case its perfectly harmless. 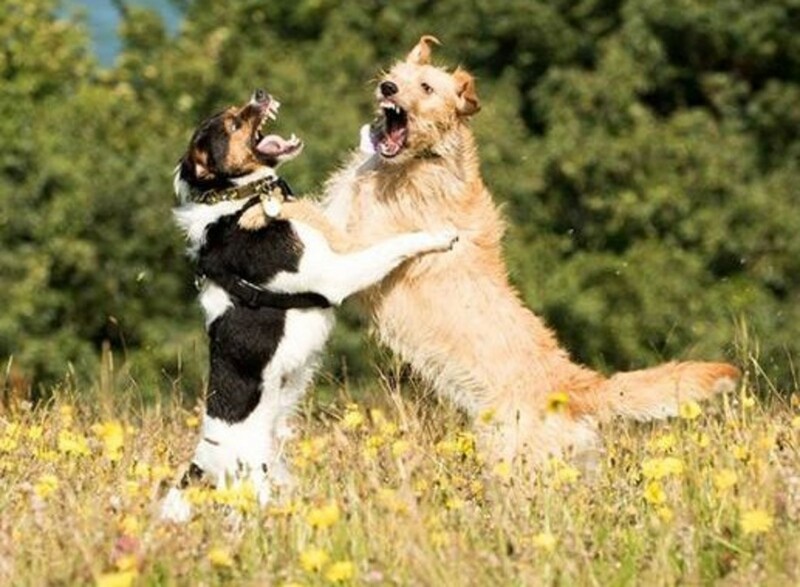 These dogs are practicing fighting techniques through their play. I think it is pretty obvious, but I will mention it anyway, just in case there is any doubt, running with other dogs is always going to be better physical exercise than dandering along beside you, although it is important to incorporate some slow, calm, lead walking into your daily walks, but we’ll talk more about the benefits of that that in another article. The fast pace means he can really let off some steam and will come home from his walks tired and ready for his nap, which is great as we all know a tired dog is much more likely to be a calm dog. And even if he doesn’t play with other dogs, which will be less important to him as he ages and wants to slow down, being confident around them means he will be much more likely to be let off his lead to exercise, as long as it is safe for him, and his recall is good. In fact, recall is often much better in well exercised and properly socialized dogs too, as often other dogs are the biggest distraction to an off lead dog. How you introduce your dog to other dogs mostly depends on how trustworthy he is in their presence. If your dog is over excitable on his lead in the presence of other dogs then it is likely he will be much calmer off his lead than on. The constriction of the lead often causes frustration and anxiety, and it is always good advice to let dogs meet on loose leads, or even better no leads at all. Frustration comes because he is trapped and forced to meet another dog nose to nose which is very rude behavior for a dog. He is anxious because when things go wrong a dog is more likely to choose a flight reaction, but in this scenario he is restricted to a freeze or fight response only. 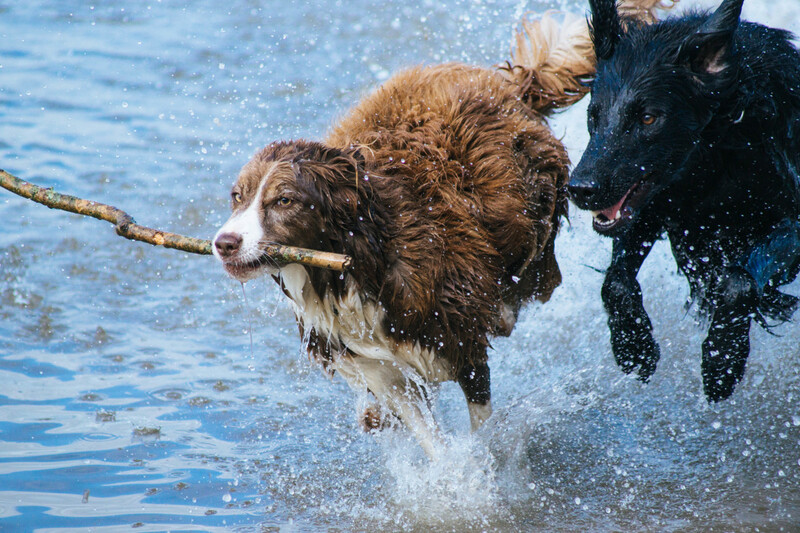 If your dog is normally friendly and playful, but you are worried he might run away from you, then dog parks are a great way for dogs to meet and play with each other. 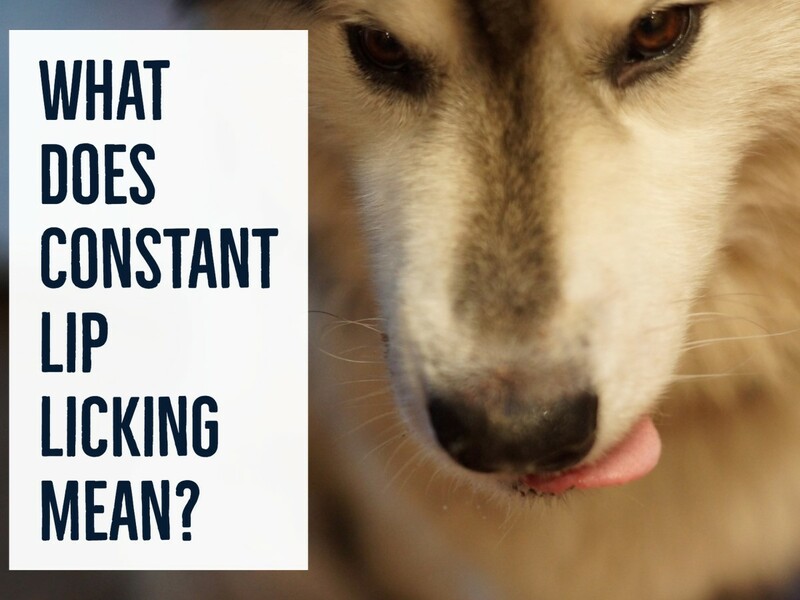 It is a safe environment for a dog whose recall is still a work in progress, and it will give you the chance to practice his basic training in a distracting environment – just let him go mad for a bit to let some energy out before attempting to do anything with him, otherwise you will just be wasting your breath! If he has a trustworthy recall then you will meet dogs in parks, at beaches, forests and a multitude of other similar places, just be responsible and make sure it is a safe place where there are no roads or other potential dangers. Don’t worry if pooch gets told off the first time he gets to meet new dogs, this is quite normal if he is over excited or just needs a bit of practice at greetings, as will likely have come across as a little rude to the other dog, in this case a snap or a growl is just another dogs way of saying I don’t like the way you are behaving right now. Don’t panic, give him space and let him learn how to adjust his behavior himself, he won't wake the same mistake again, if you run to his defense, he will worry and may start to fear other dogs, which is the exact opposite of what you are trying to achieve. 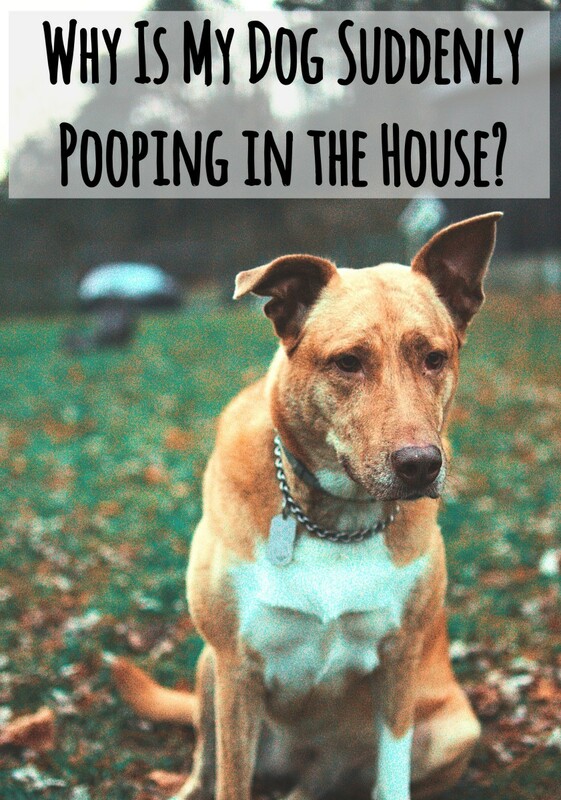 Maybe your dog is fine with other dogs but you are not confident yourself, in this case it is time to get outside help and there are two types of help I would recommend in this situation. Your first option is to employ a dog walker; they will be experienced with dogs of all shapes and sizes and will be very good at introducing a new dog to their existing pack. Just check they have a group that he can join that can be trusted off lead so he gets that all important playtime that you are looking for. The downside here is that his new group of friends won’t change much week to week, so he won’t be meeting many new dogs, but still much better than none at all. If a dog walker doesn’t appeal, you might prefer to use a doggy day care center, this is a new concept that is becoming increasingly popular with dog owners; me included. 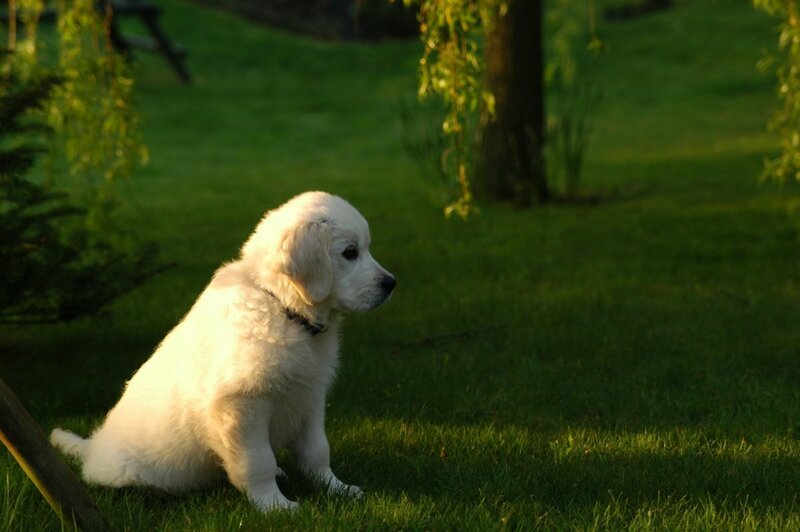 The center will look after your dog during the day for you, which is great if you need a puppy sitter for the day, but more importantly, most of them separate the dogs into manageable groups so they can socialize and play with each other all day. They will obviously be heavily supervised but the benefits are well worth the cost of a days care, and, as a bonus, your dog will be exhausted by the end of the day too. 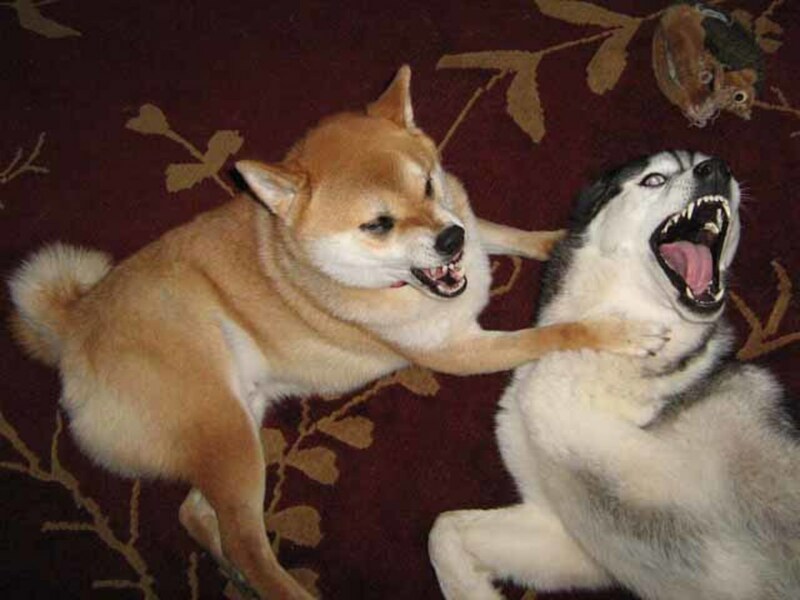 If your dog is not good with other dogs, or if you are not sure how he might react, you will need to get help from an experienced behaviorist who can assess your dog properly and give you specific advice about how to help your dog, so in time, he can be safe with other dogs and you can start reaping the benefits we have been talking about here. Do You Let Your Dog Play With Other Dogs? Why Does My Dog . . . and How Can I Stop Him? 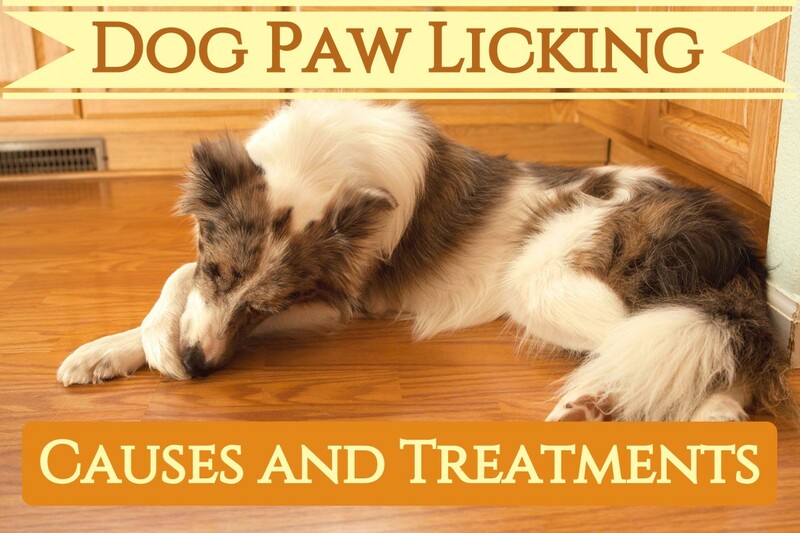 Why Does My Dog Keep Licking His Lips Excessively? Admirable explanations, advice on what should be commonsense to most dog owners but, unfortunately, is not. Read, mark, share, inwardly digest. Most importantly, remember to allow your dog to be a dog, a creature that is essentially a pack animal - not a " fur baby " - when and where appropriate and under control to the best of your ability. You will have a happier, healthier more contented dog.But, above, all , respect other dog owners, their views and mannerisms. Love this. I got mine "late" in terms of socializing and he also had fear issues which made it harder to socialize (both lack of experience and lack of confidence/defensive mindset). Fortunately, he's better with dogs, but the dogs have to use their calming signals and canine etiquette. That's important to him, perhaps from his past and maybe from the fact he throws 1000 signals at me (and I encourage them). I usually let him play with dogs he knows/feels comfortable with. When he meets a new dog, I watch and see how he responds. If he takes to the social interaction, I let them greet and "exchange phone numbers" before continuing on. I give him big rewards and praise right after, since I know it's something of an achievement for him.